How will these affect Bakersfield City Schools students and parents? The Bakersfield City School District nutrition department is pleased to announce that in an effort to continually improve the quality of lunches we serve our students, we will begin adopting improved nutrition standards for our school meals. 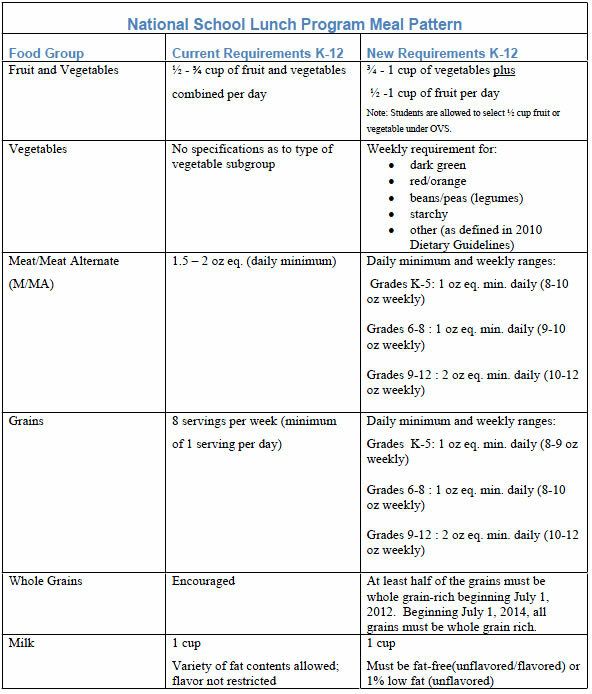 This will include an increase in the availability of fruits, vegetables, whole grains, and fatfree and low-fat fluid milk in our meals; a reduction in the levels of sodium, saturated fat and trans fat in meals; and meet the nutrition needs of school children within their calorie requirements. Our goal is to enhance the diet and health of school children, help mitigate the childhood obesity trend, and support learning by promoting healthy habits that will last a lifetime!